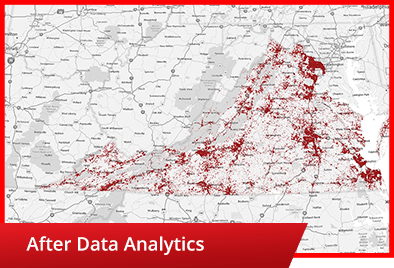 WPAi Data Analytics turns information into intelligent action. It minimizes waste and inefficiency in campaigns, while maximizing returns and results. In many ways, campaigns are flying blind when it comes to critical decision making about how to spend finite resources. They ignore important and valuable material while wasting dollar after dollar on broad, ineffective platforms and mediums. Using technology that was previously unavailable and strategies that were simply science fiction not that long ago, WPAi can identify, target, and track individuals with pinpoint accuracy. We can predict future actions by evaluating behavioral patterns, then find your voters, donors, and activists and help you build out tactics using this information to motivate them. It all starts with analyzing billions of pieces of data to create behavioral models that can help predict with a high degree of accuracy whether specific individuals are likely to support or oppose a candidate or issue, donate, volunteer, promote a cause, push a message, or show up on Election Day, among other things. We then test specific messages and mediums to determine which are most effective at producing a certain outcome. And we continue to monitor and track its effectiveness, making tweaks and changes along the way to improve accuracy and outcomes. The first map may tell you where certain groups of supporters or opponents are likely to be by county, but leads campaigns to ignore whole populations of potential supporters, while wasting time and money on voters who will never support them. The second map tells you exactly where everyone is: supporters, opponents, likely voters, persuadables, etc. 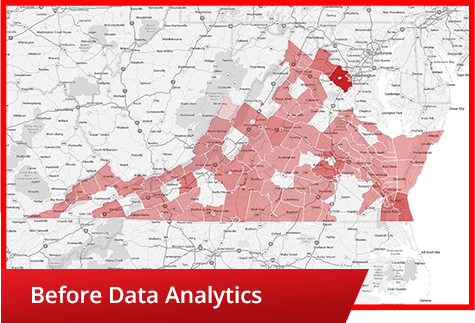 With Data Analytics you can target the entire state or region and only make contact with the people who have a high potential to do what you need them to do. Simply put, Data Analytics is your highly-sophisticated key to success. It builds upon Abraham Lincoln’s timeless formulation of how to win campaigns: find voters, find out who they’re voting for, convince them to vote for you, and get them to the polls. 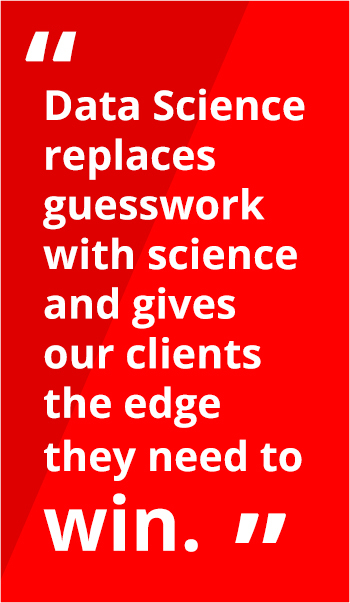 It replaces guesswork with science and gives our clients the edge they need to win.